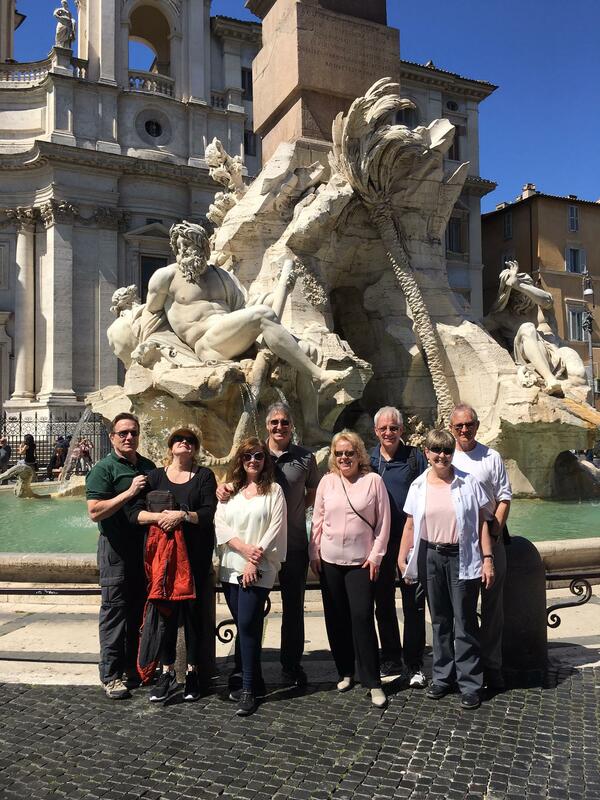 At the Fountain of the Four Rivers on Piazza Navona. Rome Italy. On the Italy tour. Mike Ross Travel. Looks like a really nice group you have there Mike!